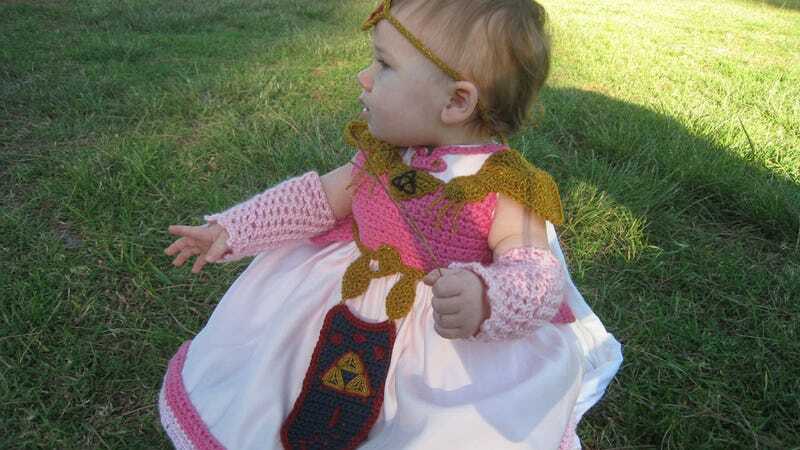 Zelda-loving parents with a decent amount of disposable income, why not spend some of it on this hand-knitted Princess Zelda costume, designed to fit children too young to know what a Zelda even is. Pictured is my Matilda wearing it at 9 months of age, so it will definitely fit 9-12 months. Whether you're looking for a costume for your little one for Halloween or Comic Con, this is the dress that will get the oohs and ahhs of everyone, whether they know the video game or not. That's right. This is an "industry" now.